In this article we discuss about the Indian Bronze Sculptures. The post deals with bronze casting technique, bronze sculptures in North and South India, and some of the important examples of bronze sculptures like Nataraja. As you rightly guessed, this article too is a part of the Indian Culture series based on the NCERT textbook ‘An Introduction to Indian Art’. In the previous posts we have discussed in detail about the Temple Architecture, Post Mauryan Trends in Indian Art and Architecture, etc. This is a continuation of those posts and the second last entry in the series. We know that Indian sculptures were masters in terracotta sculpturing and carving in stones. They were masters in the bronze medium too. Bronze is Copper + Tin. The ‘Cire-Perdu’ or ‘Lost Wax’ technique for casting was learnt as long ago as the Indus Valley Civilization. The ‘Dancing Girl’ in tribhanga posture found from Mohenjo-Daro is the earliest bronze sculpture datable to 2500 BCE. Sculptors discovered the process of making alloys of metals by mixing copper, zinc and tin which called Bronze. Bronze sculptures and statuettes of Buddhist, Hindu and Jain icons have been discovered from many regions of India dating from the 2nd century AD until the 16th century AD. Most of these were required for ritual worship and are characterized by exquisite beauty and aesthetic appeal. The metal casting process was also used for making articles for various purposes of daily use, such as utensils for cooking, eating, drinking, etc. The present day tribal communities also utilizes the ‘lost wax’ process for their artistic expression. Chariot – Daimabad (Maharashtra) datable to 1500 BCE. Interesting images of Jain Thirthankaras have been discovered from Chausa, Bihar, belonging to the Kushana period during the 2nd century CE. These shows how the Indian sculptors had mastered the modelling of masculine human physique and simplified muscles. Remarkable is the depiction of Adinath or Vrishabhanath, who is identified with long hair locks dropping to his shoulders. Otherwise the thirthankaras are noted by their short curly hair. Many standing Buddha images with right hand in Abhaya Mudra were cast in the North India, particularly in UP and Bihar, during the Gupta and the Post-Gupta periods. The Sanghati or the Monks Robe is wrapped to cover the shoulders, which turn over the arm, while the other end of the drapery is wrapped over the left arm. The cloths of Buddha figures were thin. The figure appears youthful and proportionate in comparison with the Kushana style. In the typical bronze from Dhanesar Khera, UP, the folds of the drapery are treated as in the Mathura style, i.e., in a series of dropping down curves. Sarnath style bronze have fold less drapery and an outstanding example is that of the Buddha image at Sultanganj, Bihar, which is a quiet monumental bronze figure. Vakataka bronze images of Buddha from Phophnar, Maharashtra are contemporary with the Gupta period bronzes. They show the influence of the Amaravati style of Andhra Pradesh in the 3rd century and at the same time, there is a significant change in the draping style of monk’s robe. Buddha’s right hand in Abhaya Mudra is free so that the contemporary drapery clings to the right side of the body contour. The result is a continuous flowing line on this side of the figure. The additional importance of the Gupta and Vakataka bronze is that they were portable and monks carried them from place to place for the purpose of individual worship or to be installed in Buddhist Viharas. In the manner, the refined classical style spread to different parts of India and to Asian countries overseas. Himachal Pradesh and Kashmir regions also produced bronze images of Buddhist deities as well as Hindu gods and goddesses. Most of these were created during the 8th, 9th and 10th centuries and have a very distinct style in comparison with bronze from other parts of India. A noteworthy development is the growth of different types of iconography of Vishnu images. Four headed Vishnu, also known as Chaturanana or Vaikuntha Vishnu, was worshipped in these regions. In Buddhist centres like Nalanda, a school of bronze casting emerged around the 9th century, during the rule of the Pala dynasty in Bihar and Bengal regions. In the gap of a few centuries the sculptors at Kurkihar near Nalanda were able to revive the classical style of the Gupta period. A remarkable bronze is of a four armed Avalokiteswara, which is a good example of male figure in graceful tribhanga posture. Worship of female goddesses was adopted which is a part of the growth of the Vajrayana phase in Buddhism. 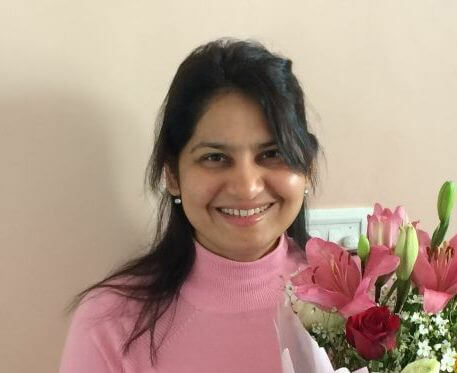 Images of Tara became popular. Seated on the throne, she is accompanied by a growing curvilinear lotus stalk and her right hand is in Abhaya Mudra. The bronze casting technique and making of bronze images of traditional icons reached a high stage of development in south India during the medieval period. Among the Pallava period bronze of the 8th century, the best one is the icon of Shiva seated in Ardhaparyanka asana (one leg kept dangling). The right hand is in the Achamana Mudra gesture, suggesting that he is about to drink poison. Although bronze images were modeled and cast during the Pallava period in the 8th and 9th centuries, some of the most beautiful and exquisite statues were produced during the Chola period in Tamil Nadu from 10th to 12th century AD. The technique of art fashioning bronze images is still skilfully practiced in South India, particularly in Kumbakonam. The distinguished patron during the 10th century was the widowed Chola Queen, Sembiyan Maha Devi. Chola bronze images are the most sought after collectors’ items by art lovers all over the world. 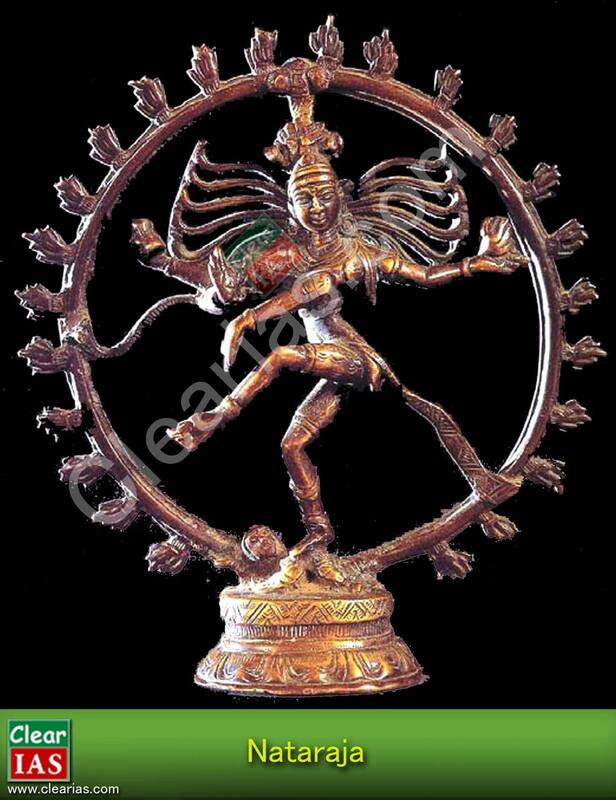 The well known dancing figure of Shiva as Nataraja was evolved and fully developed during the Chola period and since then many variations of this complex bronze image have been modeled. A wide range of Shiva iconography was evolved in the Tanjore region of Tamil Nadu. The 9th century Kalyanasundara Murti is highly remarkable for the manner in which panigrahana (ceremony of marriage) is represented by two separate statuettes. Shiva with his extended right hand accepts Parvati’s (the bride’s) right hand, who is depicted with a bashful expression and taking a step forward. The union of Shiva and Parvati is very ingeniously represented in the Ardhanarisvra in a single image. Beautiful independent figurines of Parvati have also been modelled, standing in the graceful tribhanga posture. During the 16th century known as the Vijayanagara period in Andhra Pradesh, the sculptors experimented with portrait sculpture in order to preserve knowledge of the royal patrons for prosperity. At Tirupati, the life-size standing portrait statue was cast in bronze, depicting Krishnadevaraya with his two queens, Tirumalamba and Chinnadevi. The sculpture has combined the likeness of the facial features with certain elements of idealization. The idealization is further observed in the manner the physical body is modeled to appear imposing as well as graceful. The standing King and Queens are depicted in a praying posture, that is, both hands in the Namaskara mudra. Shiva is associated with the end of the cosmic world with which his dancing position is associated. In this Chola period bronze sculpture, he has been shown balancing himself on his right leg and suppressing the apasmara, the demon of ignorance or forgetfulness, with the foot of the same leg. At the same time, he raises his left hand in Bhujangatrasita stance, which represents tirobhava that is kicking away the veil of maya or illusion from the devotee’s mind. His four arms are outstretched and the main right hand is posed in Abhayahasta or the gesture suggesting. The upper right hand holds the damura, his favourite musical instrument to keep on the beat tala. The upper left hand carries a flame while the main left hand is held in the Dolahasta and connects with the Abhayahasta of the right hand. His hair locks fly on both the sides touching the circular jvala mala or the garland of flames which surrounds the entire dancing figure. Sir I am working in a reputed MNC and want to prepare for CSE but I am unable to give adquate amount of time for studies. Any suggestions ! !